Rapla County (area 2957 sq km, population 37,000) is situated in the central part of the flat North Estonian mesa, roads from Tallinn to Pärnu and Viljandi pass through it. The County has a dense river network (the biggest is the Kasari River Basin) and very many beautiful manors and manor parks. Several ancient strongholds can be found along with churches dating from the Middle Ages, there are many Karst regions and caves and 13 protected marshes and bogs. There are bicycle routes around the town of Rapla and along the old railway embankment from Rapla to Virtsu for more serious cyclists. Pure and nature-close living environment are the main riches of the County that could be used for nature tourism. 2. In the settlement of Kehtna (ca 1800 people) the beautiful Kehtna Manor Estate is situated in a 10 ha park. Here you will find the Baroque mansion (1790), governor's house (guesthouse now) and several outbuildings. During the turmoil in 1905 the mansion was burnt down, the current building dates from 1906-1910. 3. The Karst Region of Рае is in the Northern part of the Parish of Kehtna, near the Juuru Road. There is a Nature Trail for getting to know the region. 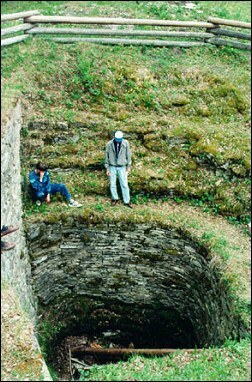 In a small area (approximately 2 ha) many different forms of Karst can be found: Karst funnels and pits, opening rifts, well-like holes, ridges and deep flutings in rocks. Two Karst caves which you can creep into can be found here. The Karst Region of Рае is under national protection. 4. 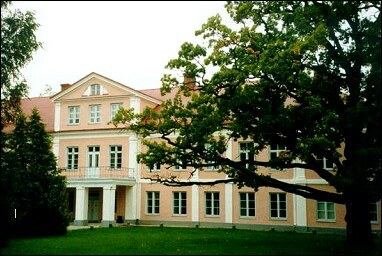 The first information about the Ingliste Manor it the Parish of Kehtna dates from 1526. The Ingliste Manor is quite interesting from the building history aspect. 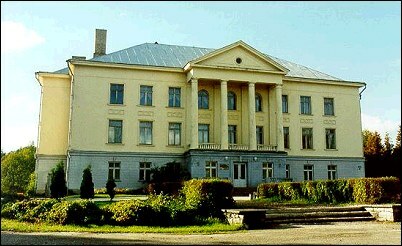 The main building has been built in several stages, i.e. the vaulted cellars are partly from the period of the Middle Ages (14-16th century). After being burned in 1905 the building was restored to closely resemble the original look. 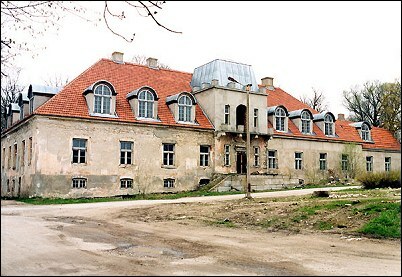 In 1984 the Manor burnt again and is undergoing restoration right now. Of the rest of the estate, the vaulted barn building and the watermill and the governor's house at the end of the 19th century are worth mentioning. 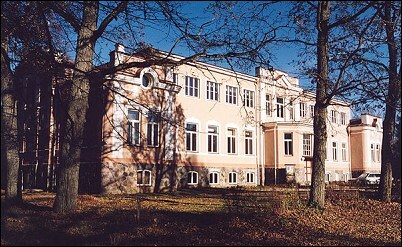 Behind the main building there is a park with a linden avenue. The main center of household management (i.e. 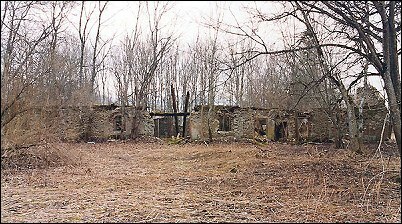 distillery, cattle-sheds, dogs and horses stables) was situated further away. 5. Hills of Keava are located to the East of Kehtna, with a town hill, cromlechs, windmill and the Keava and Palasi Marsh Reserves. 6. In Lelle there is a nice manor, near which are the Bogs of Imsi and Karstna and an 11-branch Sacred Linden on the Karstna Hill. 7. 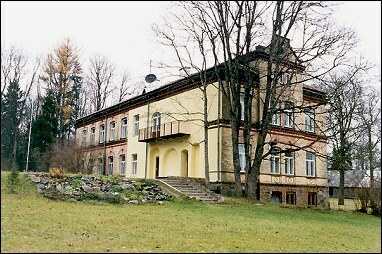 The 18th century Kabala Manor Building, which is the parish administration centre, is situated in the Village of Tamme. In the same building there is a working cotton mill that acts as a museum. 8. 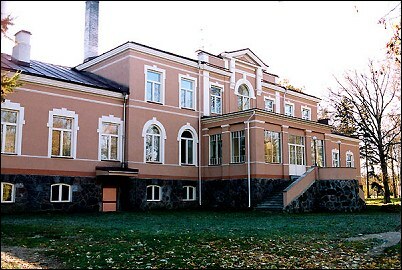 The Manor House of Raikküla (1830), with its big Classical style garden, is situated on the Rapla-Järvakandi Road and is under reconstruction. Pakamägi, situated nearby, is where the ancient leaders of the clans all over Estonia gathered for discussions. At the Kehtna Crossroads there is a mighty Dutch-type Polma Windmill (19th century). 9. The establishment of the Mahtra Museum is associated with the 90th anniversary of the Mahtra War. For this event a countryside corner, depicting the history of the region, was created in the School of Juuru. When the new Culture House was erected, the most valuable exhibits were transferred there and the Museum Room opened its doors to visitors on 21 June 1958. The architectural part of both the outside and the inside of the building was designed by the architect Tiit Hansen, the nephew of the writer Anton Hansen Tammsaare. 10. 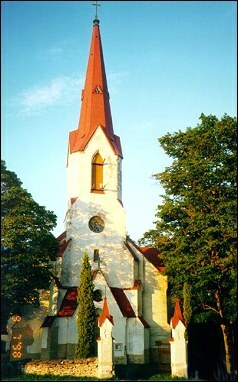 The Lambertus Church of Hageri. 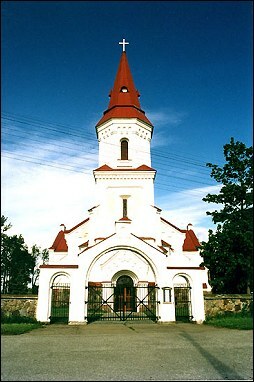 Hageri is considered to be the oldest parish in the ancient Harjumaa, which has been inhabited for three thousand years. The first church was built here at the beginning of the 1220s. Many of the villages of Northern Estonia have their first historical references in the Danish Evaluation Book, which mentions the journey of Danish missionaries here. The data about the Church, which was built in Hageri either in 1221 or a year later, also originates from this journey. The current Church building is at least the third one and was built in 1892. 11. 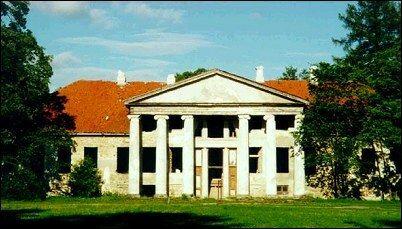 Pahkla Manor was erected in the 17th century. 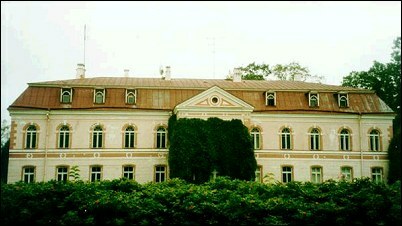 The main building of the Manor originates probably from the second half of the 19th century. Little of the wall of the main building has been preserved; but most of the walls exist from the building with wings which was joined to the back of the main building. The Park is relatively big and rich in different species, but has been allowed to run wild. 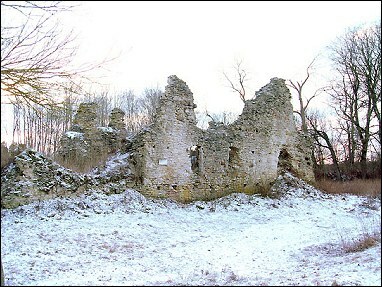 The whole manor complex is in ruins, but its original planning is preserved; no new buildings have been built there. 12. There are a lot of big rocks in the Northern part of the Village Pahkla and the fir wood around it. The biggest of them is a rock, entitled the King of Estonian Rocks, also known as the Pahkla Suurkivi. According to the stories told among people the nobility of Pahkla Manor organized outings to the rock; a table was set and a party held there. 13. 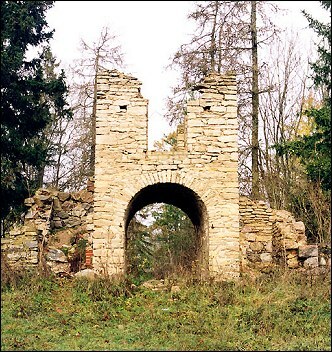 Near Kohila there is the 13th century Loone Ancient Stronghold, the centre of support for the Estonian freedom-fighting, and the ruins of the 15th century Vassal Stronghold of Angerja. 14. The main building of the Tohisoo Manor is a big stone building that has nowadays obtained a second storey to the whole of the front facade; only the central part of the back facade is two-storied. The building was erected in the Historical style after 1905, when the old building was destroyed by fire. 15. The first Church of Juuru was a wooden building erected in 1240 and consecrated at first to Holy John, later to Michael. Documents originating from 1627 are kept in the archive funds of the Juuru Church. A church book with the first entries from 1644 has been preserved. In 1936 the Church underwent major repair works and was consecrated by Bishop H.B. Rahamägi. The area surrounding the Church was used as a cemetery. Five stone ring-crosses have been preserved from that time. Among others, you can find here a big cast iron cross marking the burial place of Constantin von Helffreich, the manor owner from the period of the Mahtra War, and the burial place of the family of the Admiral A. J. Krusenstern, the first round-the-world-traveler from Russia. 16. The exact building date of the Vigala Church is unknown, because no documents about it have been preserved. 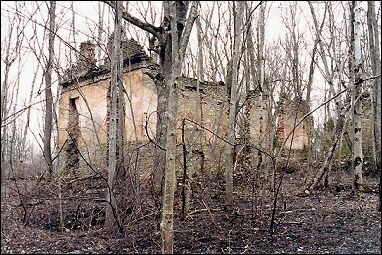 A large part of the Archive of the Church was destroyed in the fire of the Kivi-Vigala Manor in 1786, where the Archive was temporarily held. The Archive suffered damage for a second time when there was fire in the pastorate. 17. Varbola Town Hill. 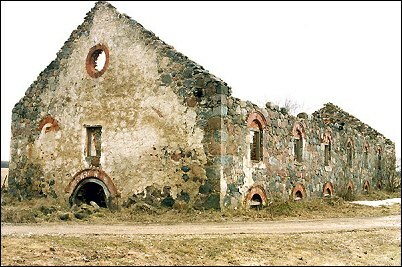 The Stronghold of Varbola - the biggest in ancient Estonia, is situated 60km from Tallinn. The height and dimensions of the stone bank, situated under primeval trees in the thinly populated forests of the limestone region, are impressive even today, over 600 years after the destruction of the stronghold. For the building of the earthen stronghold about quarter of million horseloads of limestone had to be broken and brought to the spot. 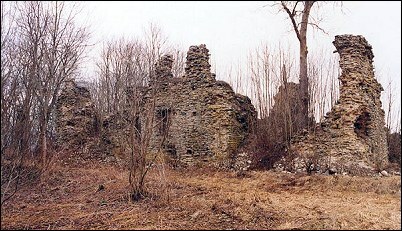 The place, also known among people as Jaanilinn, was in use until the 14th century. 18. At Sillaotsa Farmhouse Museum, on the banks of the River Paardu in Velise you can get an overview of the life of the Estonian ancestors. You can also take part in the farm work when special theme days have been organized. In summertime you can have your own picnic in the courtyard of the farmhouse or taste homemade bread, wheat bread and milk if ordered in advance.